I'm not the only one who has Pinterest boards full of natural remedies and DIY cleaners, but never implements any of them, am I? That's something we call "paralysis by analysis". How am I supposed to choose from the 174 different kinds of natural cold and flu concoctions or the 63 versions of a lemon and vinegar cleaning solutions? It's overwhelming! 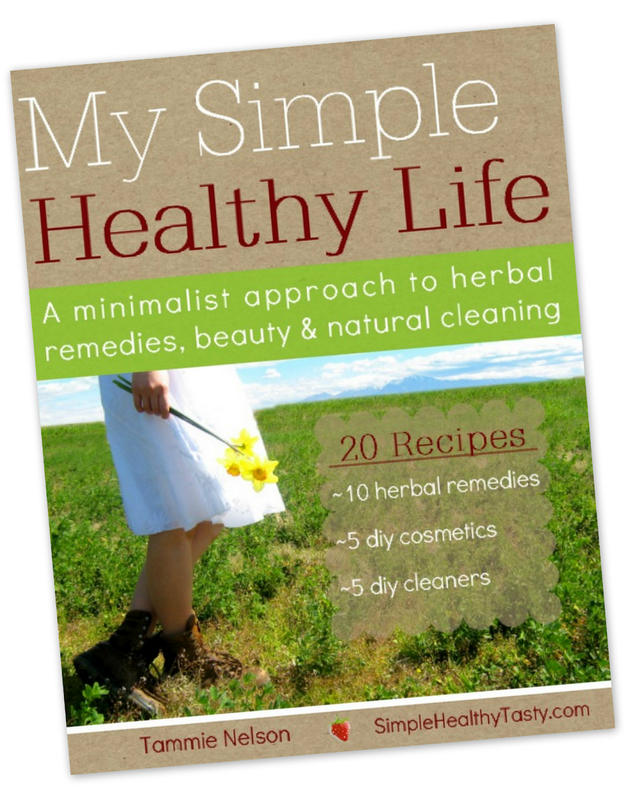 And that is why I love My Simple, Healthy Life - it really is what it claims to be: "A Minimalist Approach to Herbal Remedies, Beauty and Natural Cleaning". Isn't this what we all want? Tried and true recipes from a real person! This e-book isn't boasting 200 homemade medicines, because how many of those would you really make? The beauty of My Simple, Healthy Life is that Tammie has only included the 10 herbal remedies that you really will use. Maybe you'd want to start by making the Beat The Flu Elderberry Syrup (because that stuff really works, but it sure is expensive at the natural health store! ), or how about the Calm Tummy or Immune Boost remedies to keep the whole family healthy and feeling good? Looking for something REALLY simple to start with - try the Hot Honey recipe for that sore throat you feel coming on. Doesn't get more practical than this, does it? Tammie also includes 5 DIY cosmetics (including mascara and two types of natural deodorant) and 5 DIY cleaners - all you need to keep a sparkly clean house...along with a little elbow grease! You won't have to worry about dangerous chemical residue - and you won't be racking your brain wondering which natural laundry detergent is best - Tammie just gives you one that works! Owning My Simple Healthy Life will pay for itself over and over when you no longer need to be stocking your cabinets with Pepto Bismal, Nyquil, Mr. Clean and Revlon (or their even more expensive "natural" counterparts. Offered for only $5.95, My Simple Healthy Life really will make your life simpler and healthier. 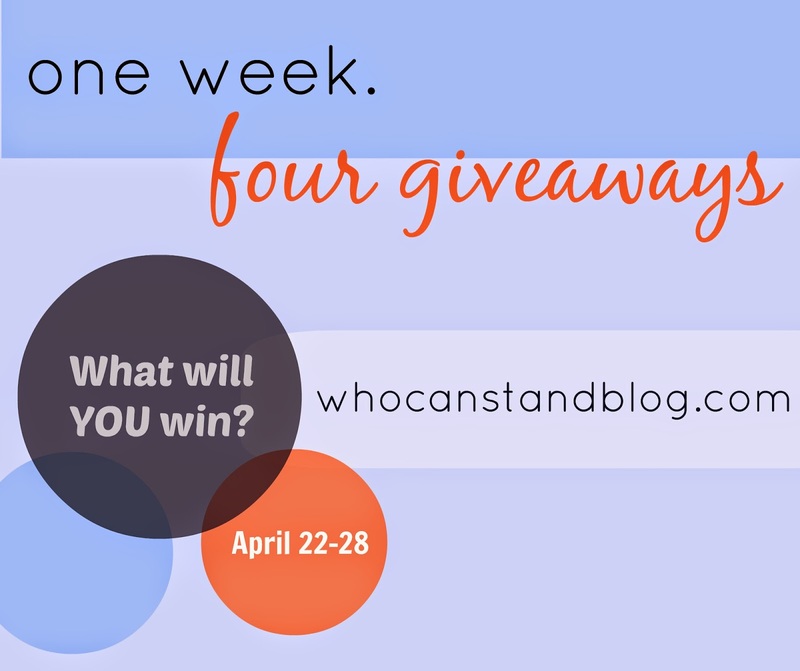 This giveaway (along with all the others this week) will end Sunday night - so be sure to enter this week! The winners of all the giveaways will all be announced here on Monday morning. Come back Thursday for our second giveaway celebrating The Ultimate Homemaker's Bundle! A lot of them look really good! I would have to go with The Cherished Home: Protecting What’s Important just for where I am at at this moment! YES! That stuff looks is such a steal as part of the Bundle! Unfortunately it only ships to the States (and we're in Canada) - maybe I could gift it to an American friend! :) Deanna, did you know when you purchase the Bundle you have the opportunity to add 2 more Bundles for only another $30? (That's alot of Laundry soap!) You can gift or split the e-books with friends. I actually loved that book, it's full of all kinds of great tips, recipes and great examples how you can replace the chemicals you use in your everyday life with more natural ingredients. It really helped us replace all the detergents at home with more natural alternatives, just in time when the baby arrived. Who could think that some baking soda and vinegar can replace the powerful oven cleaner and even do a better job? The book is a really good choice for people who want to start a greener lifestyle. 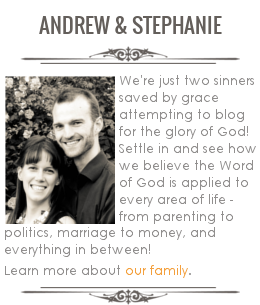 31 Days to a Better Marriage! So You Think You're a Good Wife?